Slavic amulets played an important role in theEveryday life. It was believed that they protect the house, attract good luck, help in everyday life. When creating amulets, there was a remarkable fantasy, especially when it came to dolls. 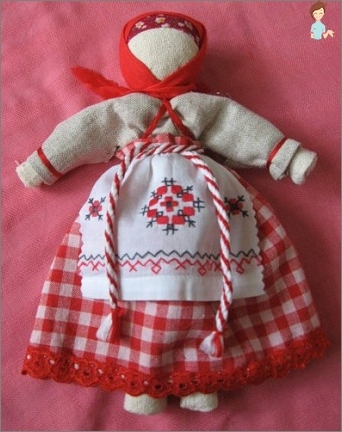 Special ritual dolls did on significant occasions. 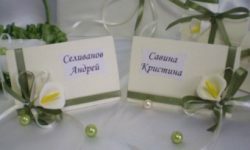 For example, at the birth of a child, a wedding ceremony, the celebration of the day of Ivan-Kupala. Small original toys were attributed supernatural abilities. They have for centuries served as faithful companions of their ancestors, protecting their health and well-being. Depending on the purpose of the amulet, he was put in an honorable place or burned. 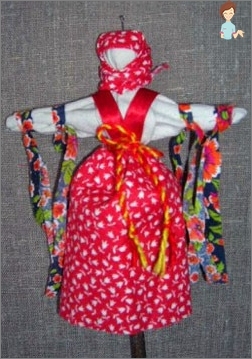 To create ritual dolls used a variety of materials: clay, straw, ash, cloth. Dolls stored in the house, allowed to divert the evil eyeOr to facilitate childbirth. Oberegi created with special diligence, trying to enlist the support of good spirits or to ward off evil ones. With the passage of time, traditions were developed, according to which modern amulets also perform. 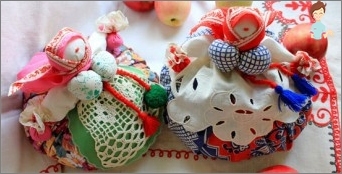 For example, specially for the newlyweds made a pair of dolls, which were called "Indissolubly". They used an indivisible piece of cloth and a common red thread, which should not have been interrupted. Properly executed work was considered a guarantee that the whole life of a married couple will not part. When a child was born, to "Indians"Tied a separate loop, which was to firmly connect the fate of parents and the baby. Till now there were secretsCreating self-made toy toys. It is better to start with a simple one, having performed motanka, which was revered as the guardian of family happiness. However, you should first familiarize yourself with the general rules that allow you to fill the defender with force and not make mistakes that lead to her uselessness. Earlier in Russia, each woman personally performed amulets. When the pupa starts to burn, it is necessary to stretch out your hands over the fire and absorb its purifying heat. If these rules do not seem complicated, you can start making an amulet. Thin threads of "mulina" of 4 different colors. You can use decorative elements for motanka: beads, beads, braid. Golden and green colors attract financial success. Close to the neck of the handle are tied with threads so that the head does not accidentally pop out. Belt for the waist is made of tightly crocheted orInterlaced threads. In addition, you can thread threads through beads or beads, which will make the belt more elegant. 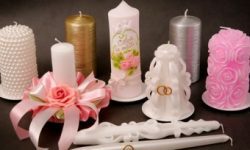 Instead of a cotton band, you can use a beautiful ribbon. Special tricks in the process, how to doA doll-amulet, no. 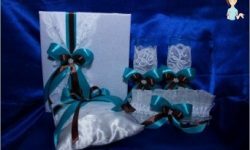 The main thing is to put in it a piece of your soul with sincere wishes of well-being for the person to whom the traditional Slavic motanka is intended as a gift!